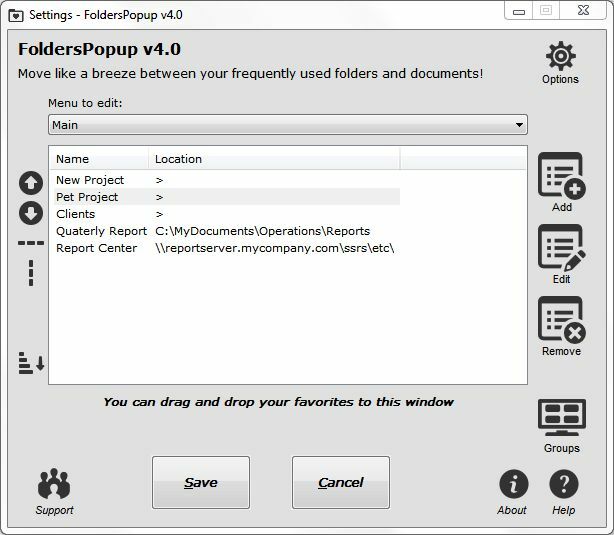 Folders Popup is just a simple solution that lets you quickly and easily move between frequently used folders. 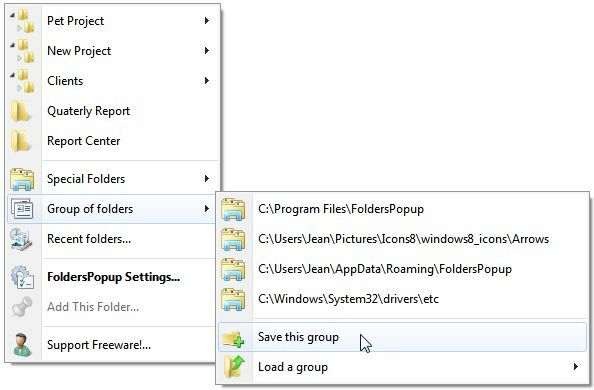 All your favorite folders at your finger tip – press the middle mouse button (or press Windows-K) *over* a file dialog box or an Explorer window to popup your personalized folders launcher. If your mouse has a scroll wheel, you can press it: this is the middle mouse button. If your mouse does not have a middle button, you can choose another trigger in the Options dialog box. Add, reorder, remove or rename folders in the Settings window. Add folders on the fly with the Add This Folder menu. Add any type of File Dialog Boxes to support your various software. 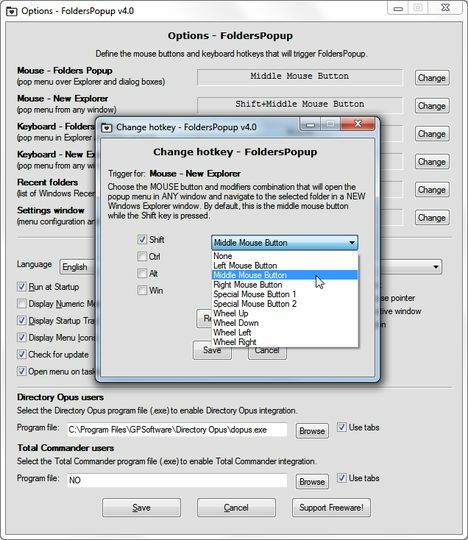 Choose any mouse button or keyboard shortcut to open the folders popup menu . Tested on Windows XP, Windows 7 and Windows 8 with Explorer windows, File Dialog Boxes (Open, Save, etc.) and Console Window (CMD command prompt).